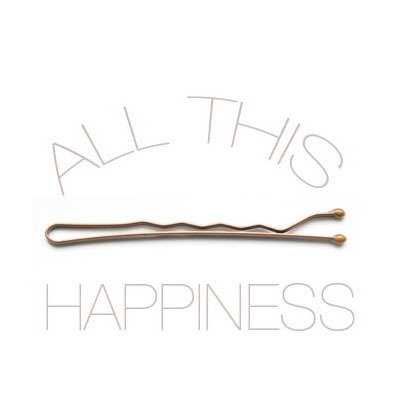 all this happiness: Too Much of a Thing. Love your clothes!!! love stripes!!! love black and grey!!! and I am a coffe addicted!!!! :D:D:D and we are happy because you are back!!!! I've been in a v. similar rut lately; I have tonnes of cute full-skirted dresses, lots of colour, & all I want to wear is drapey greys/blacks/navys/etc. Edging up a wardrobe is hard work when one has dressed v. girly for years! That feeling is so familiar. Your outfit is very pretty though - I love the grey blazer with the breton stripes. Maybe it's a good thing. People's preferences change, all things change, it's very natural. It could be fleeting but I'd encourage you to explore whatever you're feeling now...but who knows, you might feel completely restored tomorrow. You look lovely! :) But I feel the exact same way sometimes- I've gotten tired of dressing so girly, so lately I've kind of been rebelling against it in layers and pullovers and boots. Change can be nice! I absolutely love this outfit, but I think I understand what you mean. I can't give up my cute vintage dresses, but part of me wants to dress edgy and modern...and maybe be taken seriously for once. You look darling to me! I wear way too many stripes. It's a problem. I'm in a weird place where I like girly things if they're well-worn or a bit rustic. Black and charcoal gray always get me...so, I avoid changes even when in a funk and lean more towards those two for comfort. I just adore this outfit :) I just wore a striped skirt and dark skirt the other day and think the combo is the perfect blend of relaxed and chic! Ooh this is so simple and lovely ! By the way you made me love Mad Men. I don't miss any episode now ! I actually think this outfit looks adorable!! I can't wait to try my own version of it. It's very normal to question your own style when it gets comfortable, I think. I just spent the last year experimenting and wearing things just because they were out of my comfort zone, but now looking back on my blog I realize I don't even like lots of those outfits. Love the flash of leopard print on your feet! Happiness is one of the most important things in our life, we must do something to stop it from slipping away.
" I'm a little sick of things that are twee and overly girly, and I find myself gravitating towards things that are a bit more cool, effortless, dilapidated. I'm starting to really enjoy pants." Hullo, are you me? I'm feeling exactly the same. I'm moving away from peter pan collars and looking out for something more structured, more androgynous. I don't know where the good shirts are at though. Charity shops aren't working out! hey! I just found your blog...but I saw your picture a little while back for the mad men casting call - you stood out - my favorite picture for sure - did you win!? I love the look - skirt, blazer and top! Very nice! 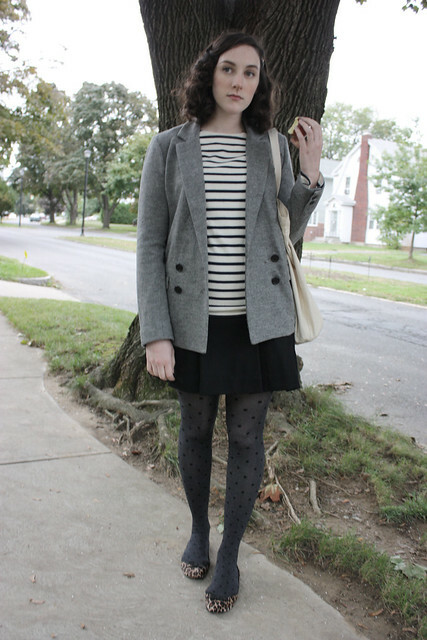 polka dotted tights + leopard print shoes = perfection.